Last year, when I discovered that my wife was the victim of identity theft, I was given all sorts of suggestions on how to remedy the situation and keep her -– and my family –- safe going forward. Some of the ideas were high-tech, and some were very low-tech. But even though I contacted all three of the major credit bureaus, none of them suggested the one thing you can do to ensure you don't become a credit fraud victim: freeze your credit. 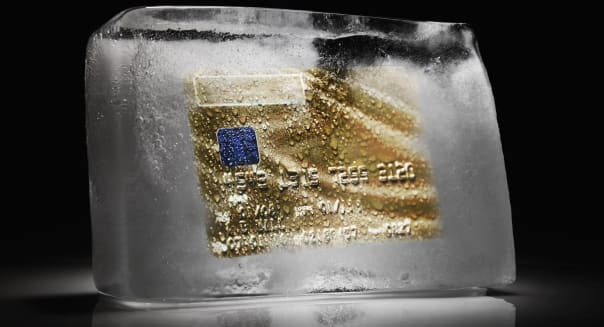 Freezing your credit allows you to put a lock on your credit report so that it can only be accessed with a personal identification number, known only to you. Each credit agency will give you a unique PIN, and with this added security layer, thieves won't be able to establish new credit in your name, even if they obtain all your personal information. Credit freezes have only traditionally been available to victims of identity fraud, but all three major credit agencies have recently changed their policies to make them available to everyone for a small fee. That fee varies from state to state but are generally $3-$10. The most expensive state is California, which charges $30. Place the freezes at Equifax (EFX), Experian (EXPN) and Transunion. You can also find out more about you're the specifics of doing a credit freeze in your state by going to the Security Freeze Laws page at the National Conference of State Legislators. Like what you read? Want more? Then sign up for my free weekly newsletter The Lund Loop to get exclusive insights into what I am writing, reading, and hearing about the stock market. Click here to sign up.